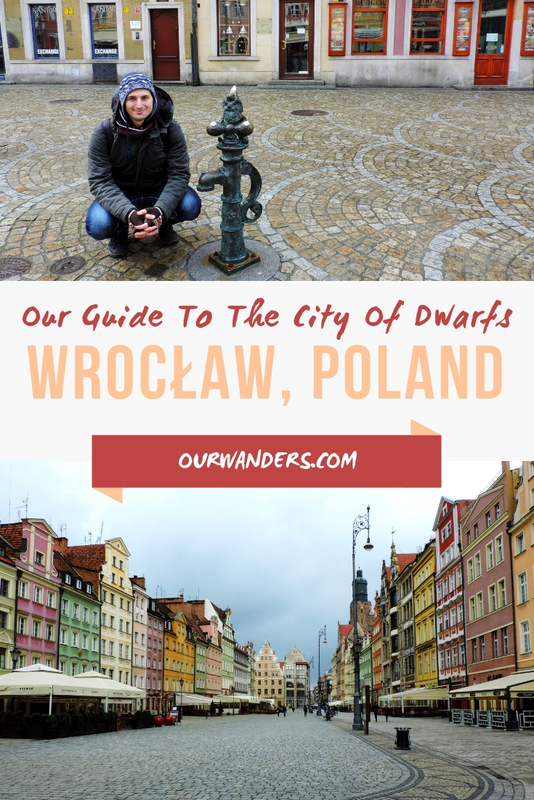 After getting amazed by the old towns of Krakow and Warsaw, and after falling in love with funky and weird Łódź, Wrocław came with its dwarfs. Poland, you really can’t run out of special cities, can you? 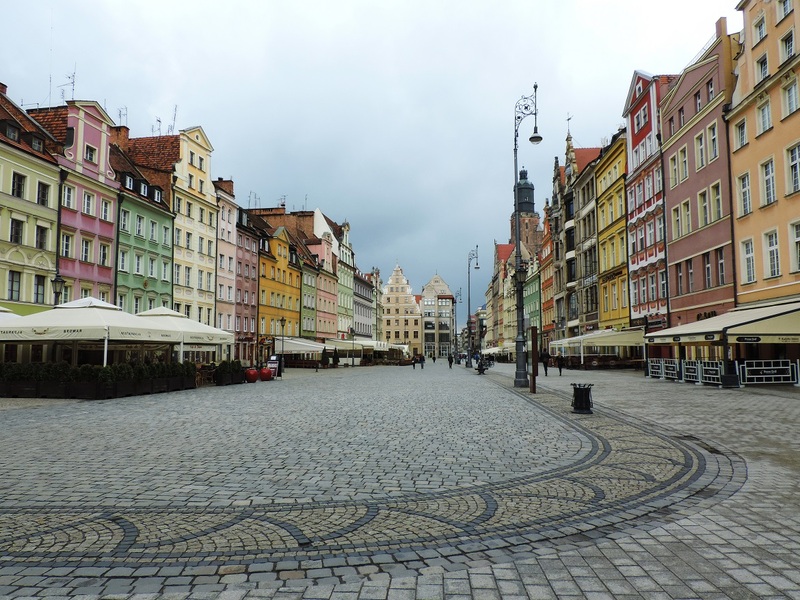 Wrocław is the fourth-largest city in Poland and the historical capital of Silesia. Throughout its eventful history it has been part of the Kingdom of Poland, Bohemia, Hungary, the Habsburg Monarchy, Prussia, the German Empire, Weimar Republic and Nazi Germany. As a result of the border changes after World War II it became part of Poland again. In 2016, Wrocław was a European Capital of Culture. In 2017, we stopped in the city for a day on our second trip to Poland and kind of fell in love. Though the rain was pouring for hours and it was a chilly, gloomy spring day, Wrocław’s beauty still managed to shine through. As a start, it has an amazing old town with narrow streets, pastel colored houses, majestic churches and ancient street lamps. 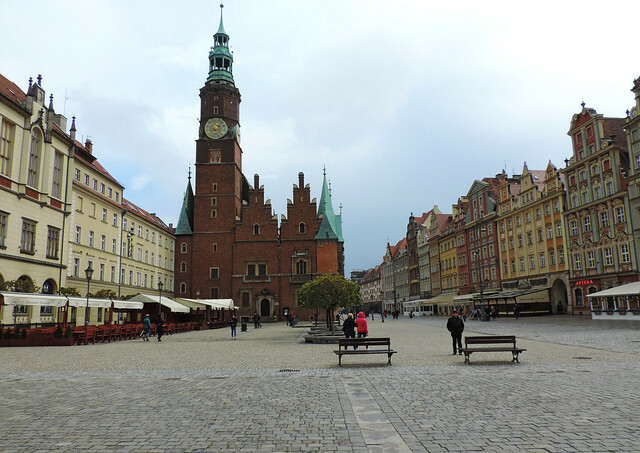 But it’s the Main Market Square and the Old Town Hall that really steal the show in our opinion. 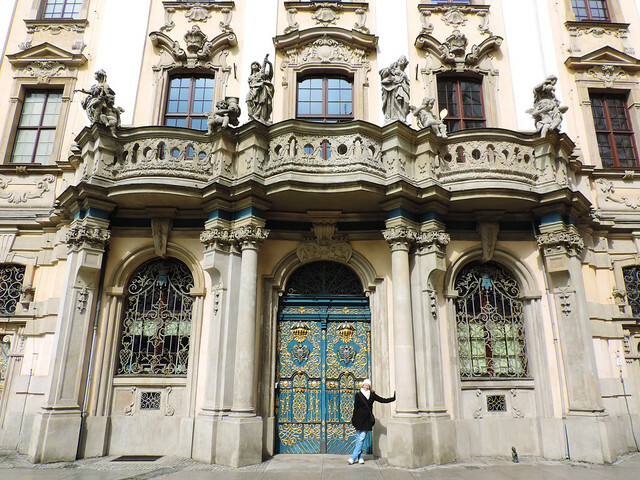 They originate from the 13th century and the Gothic Town Hall is one of the most stunning of its kind. 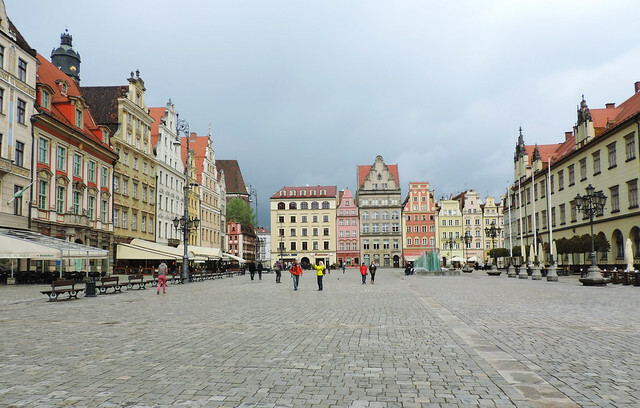 Its grandeur and the rich decoration of its facades make it the queen of Wrocław’s Old Town. Today it’s a museum and it also hosts temporary exhibitions and cultural events from time to time. On the corner of the Main Market Square stands St. Elisabeth’s Church (Bazylika Św. Elżbiety). On the other corner you can find the flower market and the St. Mary Magdalene Church (Kościół Św. Marii Magdaleny). But the oldest part of Wrocław is Ostrów Tumski (“Cathedral Island”). Once it was an island and it’s home to Wrocław Cathedral that was originally built in the 10th century. 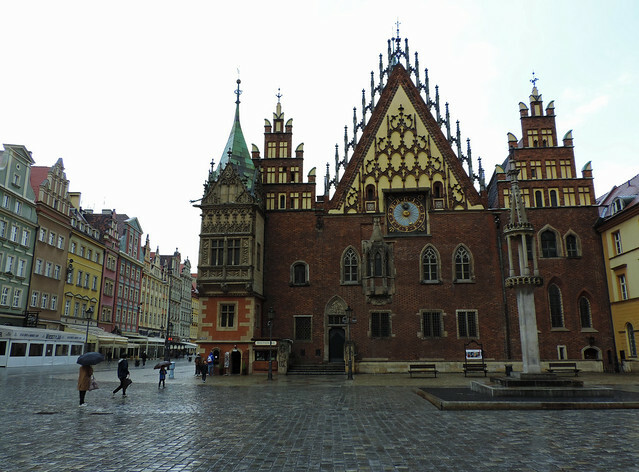 The Royal Palace of Wrocław was built for the Prussian monarchy, but today it houses the city museum. 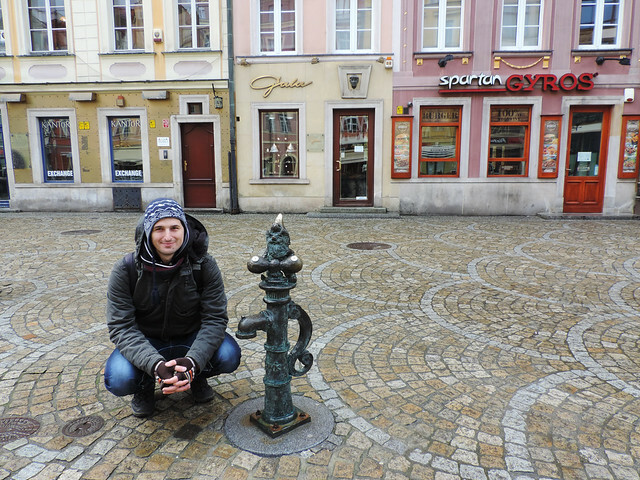 The Wrocław Fountain could be special, too. It’s a musical fountain, but since it runs only from May to October, we were too early for that. And the dwarfs. 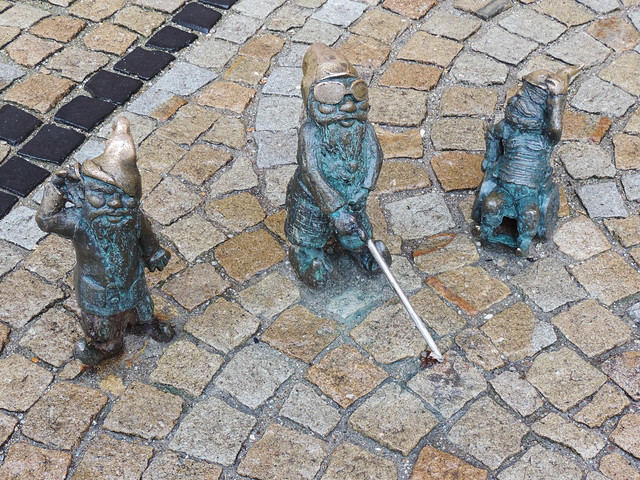 We noticed several of them on the Main Market Square and they appeared on random spots as we were walking around in the Old Town. These small (about 20-30 cm tall) figurines are everywhere and they are just so loveable! 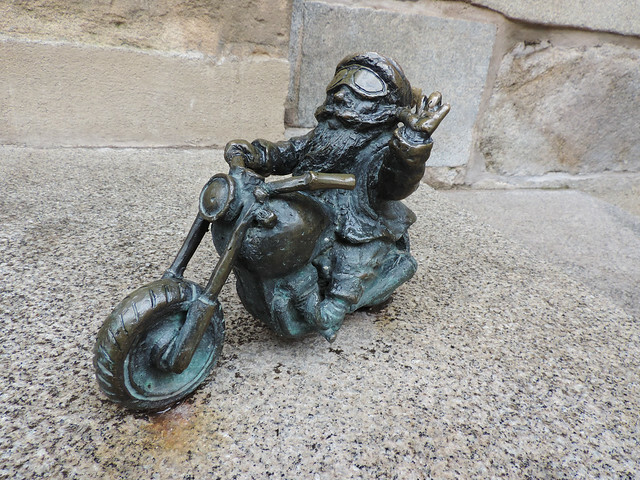 The first one appeared in 2005 and now there are over 350 dwarfs spread all over the city. Even special maps are offered to combine “dwarf hunting” with sightseeing in the city and it’s quite fun. But why dwarfs? Actually, it’s a symbol of a Polish anti-communist movement and the first monument of a dwarf was placed on Świdnicka Street to commemorate this movement. It has grown beyond itself since then. There’s even a Dwarfs Festival that takes place in the city every September. Well, Poland, you impressed again. But we are also curious what else you have for us! Gdańsk and Poznań next time? Have you ever been to Poland? 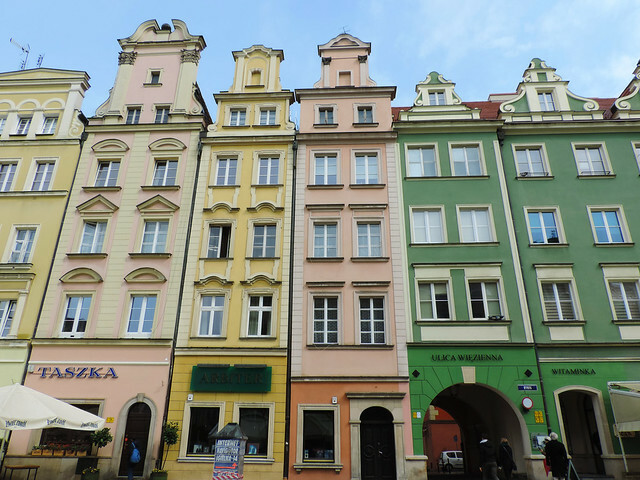 Which Polish city would you visit first?